ECR 2018: Digital breast tomosynthesis: ready for prime time in Europe? Results from clinical trials of digital breast tomosynthesis in Sweden and Norway were reported at the recent European Congress of Radiology in Vienna. Screening with digital breast tomosynthesis (DBT) has achieved impressive results in the United States, but adoption in European public screening programmes is awaiting clinical and economic data from trials. Solveig Hofving, Head of the Norwegian Breast Cancer Screening Program explained at ECR 2018, just finished in Vienna, that although several studies have shown higher cancer detection rate for tomosynthesis compared to digital mammography, most of these were performed just with tomosynthesis which means doubling the doses, and performed in the USA where women are screened in a much broader age range and screened every year. Studies from the USA have also shown that tomosynthesis lowered the recall rate, which is between 10-15, about 3-5 percent in Europe and in Norway it is 3 percent. Decreasing recall rate from 3 to 2.5 is much more difficult, and it is also questioned whether it is achievable, but reducing the recall rate from 15 to 12 percent means a lot for women, but it is not where we are in Europe. These were reasons for doing RCT. Also wanted to use other equipment used in most of the other studies published. The TOBE 1 trial asked women participating in the public breast screening programme in Bergen in 2016 and 2017 to take part. Follow-up was achieved with more than 99.9% of participants. 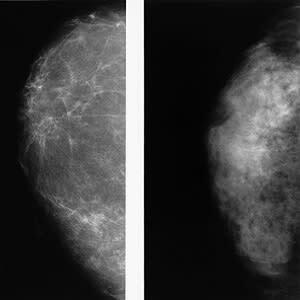 The two arms compared DBT plus synthetic 2D mammography against digital mammography (DM) in a screening setting. In Norway all women 50-69 are offered mammography screening every 2 years. Norway as in most European countries do independent double reading with consensus or arbitration. The aim of the trial was to compare early screening outcome and economic cost of screening women with tomosynthesis vs. mamography in a population-based screening programme. Hofving noted that interim analysis is on early performance measures as effect on mortality needs longer time. The interim analysis has included interpretation time, consensus and recall rate and stratified by mammographic density measured by an automated system. The data for interval breast cancer rates will be available in April 2020. Everything has been coded so that the economic costs can be evaluated. TOBE 2 will ask women attending screening in 2018-2019 to take part in the second trial. This will compare outcomes in women screened twice by tomosynthesis - most studies so far have compared results with tomosynthesis after digital mammography. TOBE 2 will have 3 groups - women with no prior screening, those with prior DM screening and those with prior DBT. The trial will collect data for 2 years, then 2 more years with follow up. 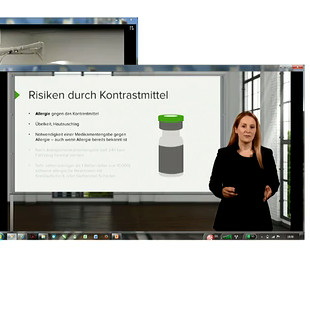 Hildegunn Aase presented the results from year 1 of the TOBE trial. 7037 women were screened with SM+DBT and 7052 with DM, January-December 2016. The recall rate for positive mammographic findings was calculated for women who underwent screening with the two techniques, stratified by quartiles of volumetric breast density; (1:< 3.5%; 2: 3.5-5.4%; 3: 5.4-8.8% and 4: >8.8%). Two-proportion z-tests was used to test for statistical significance between the groups (p<0.05). The recall rate was statistically significantly lower for SM+DBT (3.0% [208/7037]) compared to DM (3.6% [254/7052], p=0.03). The recall rate increased by mammographic density for SM+DBT, from 2.1% for VBD-1 to 4.5% for VBD-4. For DM, the recall rate remained the same for different quartiles of mammographic density. For DM, the highest recall rate (4.3%) was observed for VBD-3. Aase noted that the higher recall rate among women with mammographic dense breast and screened with SM + DBT needs to be followed closely according to cancer detection and false positive screening results. Further analysis will be undertaken. 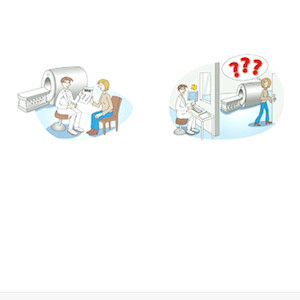 The researchers note that the radiologists had limited experience with DBT when the trial started. Women screened with SM+DBT had a lower recall rate compared to those screened with DM. The higher recall rate among women with dense breast and screened with SM+DBT need to be followed closely according to cancer detection and rate of false positive screening results. The Malmö breast tomosynthesis screening trial includes analysis of cancer subtypes. Kristin Johnson presented the results of the analysis of tumour biology. The trial is a prospective, population-based one-arm screening trial comparing one-view DBT with two-view digital mammography (DM). 14,848 women were enrolled and in total 118 invasive cancers were detected. The subtypes were presented by mode of detection; DBT alone compared to all DM detected cancers. and 3 (8%) triple negative. The study’s limitations are that it used one vendor’s tomosynthesis equipment. The results suggest that DBT screening may not alter the treatment predictive and prognostic panorama of screen-detected cancers. However, the study size is not large enough to perform multivariate statistical analysis. Prof. Fiona Gilbert, University of Cambridge, who provided a critique at the session, noted that the analysis reported had no information on size, grade or lymph node status of the detected cancers, so it is difficult to know what the important cancers are and if there was over diagnosis. digital breast tomosynthesis, ECR 2018, screening programmes, mammographic density Results from clinical trials of digital breast tomosynthesis in Sweden and Norway were reported at the recent European Congress of Radiology in Vienna.